A coral pathogen was isolated from the diseased tissue of Pocillopora damicornis in Zanzibar. The pathogenic bacterium, referred to as Vibrio coralyticus YB, was classified as a member of the genus Vibrio. Based on its 16S rDNA sequence, V. coralyticus is probably a new species. In controlled aquaria experiments at 26–29°C, inoculation of pure cultures of V. coralyticus YB either into the seawater or by direct contact onto the coral caused tissue lysis of P. damicornis fragments. At 29°C, lysis began as small white spots after 3–5 days, rapidly spreading so that by 2 weeks the entire tissue was destroyed, leaving only the intact bare skeleton. When an infected diseased coral was placed in direct contact with a healthy one, the healthy coral lysed in 2–4 days, further indicating that the disease was contagious. Inoculation with as few as 30 bacteria ml–1 was sufficient to infect and lyse corals. Seawater temperature was a critical variable for the infectious process: infection and lysis occurred rapidly at 27–29°C, slowly at 26°C and was not observed at 25°C. 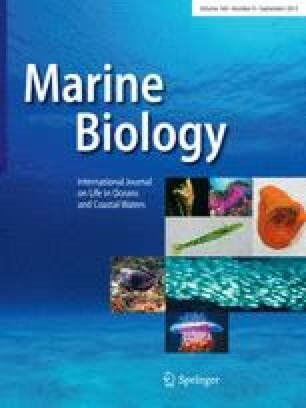 The data suggest that the presence of V. coralyticus YB, even in low numbers, in seawater surrounding a coral reef will lead to tissue destruction of P. damicornis, when seawater temperatures rise.